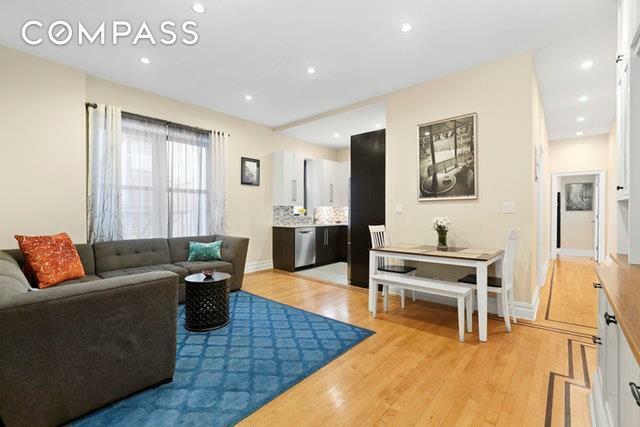 A renovated two-bedroom condo in a landmarked, classic Park Slope building a half block from Prospect Park. 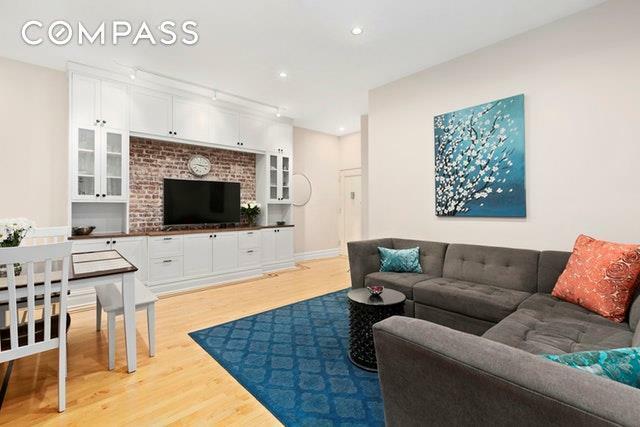 Only one short flight up, this voluminous home with nearly ten foot ceilings features a gracious living/dining room complete with a beautiful floor-to-ceiling custom built-in with an open back showcasing exposed brick. 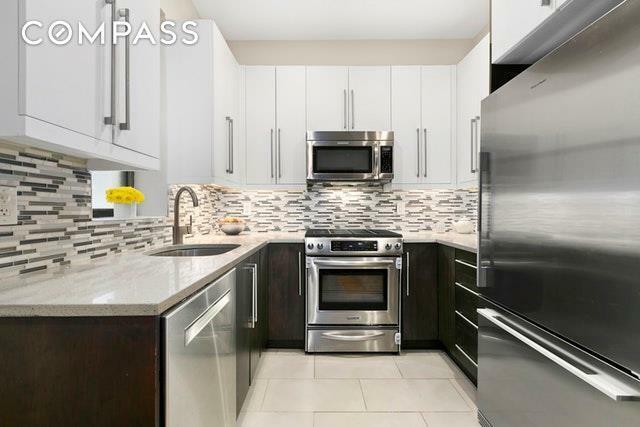 The windowed kitchen is fitted with stone countertops, ample white upper and lower dark wood soft-close cabinetry, and top-of-the-line stainless steel appliances including a Bosch dishwasher, Kitchen Aid range, and Fisher Paykel counter depth refrigerator. A long gallery awaiting your art leads to a king-sized master bedroom with two exposures including south-facing bay windows and a second bedroom that can easily accommodate two children. The luxurious bathroom is in excellent condition and features lovely inset glass shelving for linens. Oak hardwood floors with inlay, recessed lighting, and large windows are throughout. The Gwendolyn is a boutique, pet-friendly condominium with amenities including storage, a bicycle room, video intercom, and central laundry. 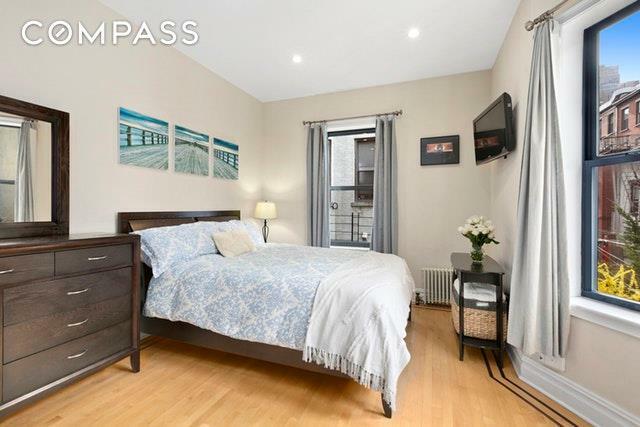 With Prospect Park, phenomenal restaurants and cocktail lounges, a plethora of shopping options including the Park Slope Food Coop and the Green Market in Grand Army Plaza, and the 2/3/B/Q trains practically at your doorstep, this amazing location offers unparalleled lifestyle and convenience. Currently zoned for PS 321. Listing courtesy of Greg Mire of Compass.